Street Invoice is the easiest way to invoice on-the-go, in real time. Download Street Invoice FREE - Today! 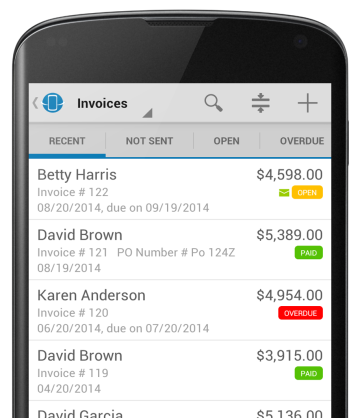 Create professional invoices right from your phone, in under a minute! 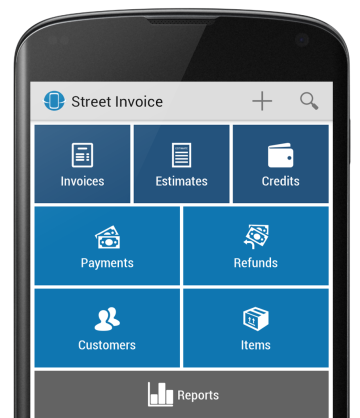 Street Invoice helps you get paid in real time; simply select your customer from your contact list, choose products and services and let Street Invoice calculate taxes and totals for you. Take it a step further and have your customer sign and pay right from your mobile screen, on the spot. New customer? Not a problem, simply import the contact from your phonebook. You can even add new line items, apply discounts and any other charges from your mobile device. 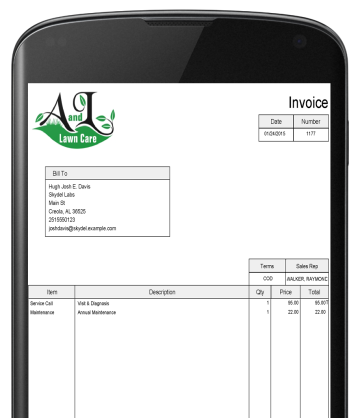 When you are done, send invoice by email, SMS or chat, and print your invoice right from your screen. Say goodbye to the hassle of office work! No need to log administrative hours back at your desk. Easily customize your invoices by adding your logo, contact information and branding. Does your customer require purchase order numbers? No problem, just set those details in the invoice details section. Add any business terms, customize for local tax rates, and have your customers be billed the right way, automatically, every time. Street Invoice offers teams the ability to streamline invoicing productivity so that tasks can be completed without being glued to a desk. Share invoice and customer info across your entire team so that everyone is up-to-date on all your customers’ needs. Invoices and messages can be pushed instantly from a desktop to Smartphones and all actions are tracked so you can see who did what along the way. Remove any guess work from inside your team! Why wait to improve your business?